The RM 230 light is a monoblock valve for max. operating pressures up to 210 bar and max. pump flows up to 70 l/min. 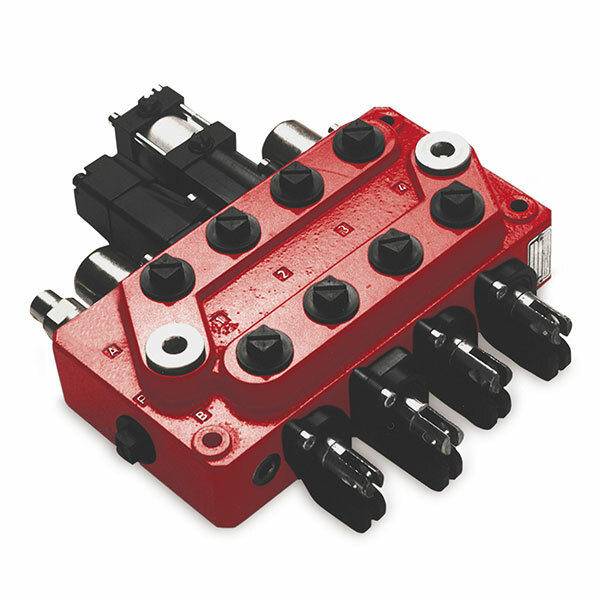 It is available with 1 to 4 sections per valve. Therefore, it comes with an open center for fixed displacement pumps. Moreover, the valve operation can be manual, with cable or by pneumatic, electro-pneumatic and hydraulic remote control. What’s more, the valve offers excellent operating characteristics because of the specially designed spools for different applications. Low and uniform spool forces are the result of the careful balancing of the flow forces. The typical applications for RM 230 light are tippers, cranes, refuse trucks and agricultural vehicles.